Backup media storage can be an asset when you need to recover data, but also a liability when it is no longer needed. 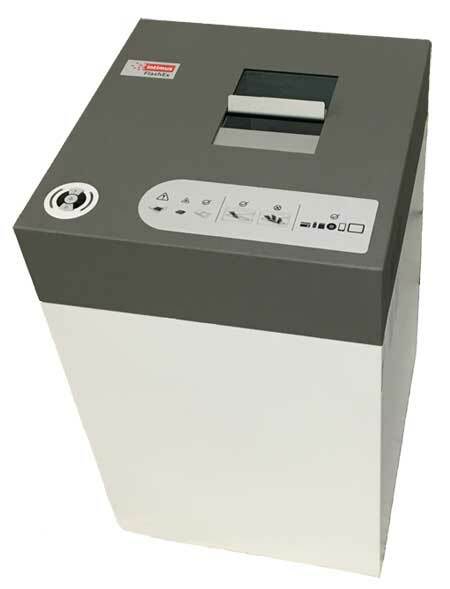 Our mobile media shredder can reduce your optical disks, backup tapes, flash media, and SSDs down to less than a 3/16" shred width (4 x 15 mm) particulate size, making data theft impossible. We can also shred mobile devices and other small proprietary equipment. Our service comes to you, making it an ideal solution for anyone in healthcare, finance, government, or any operation that manages and stores high-risk data. ✔ Convenient – We’ll come to you! Our mobile media shredder can operate on our truck, data center environment, or even in your office. ✔Simple Power Requirements – A standard 110-outlet is all we require, as long as it is on a dedicated 20-amp circuit. Generator service is also available. ✔ Quiet – The 1 HP motor and solid steel enclosure ensure that it can be comfortably operated in any office environment. ✔ Audit Trail – For backup media that is serialized, we can provide a log for a small additional fee. ✔ Certification of Recycling – A certificate is provided for the destruction with the total weight of shredded media. ✔ Insured – As with all of our services, we’re happy to provide a Certificate of Insurance, detailing our aggregate $3 million insurance policy. ✔Safe – In addition to manufacturer safeguards, we perform air monitoring periodically to ensure shredding does not introduce significant particulate into the environment.